Something we started a few years back that has helped our NW athletes in the recruiting process was our “Top Athletes No Offers” section. Below you will see a list of top recruits within Oregon and Washington who do not hold D1 offers. These are individuals right on the bubble that project to at least the D1-AA level. We feel fortunate to be able to work with a majority of the NW’s top athletes and colleges through the Barton Football Academy. Getting to know the players on a personal level has made our evaluations that much more clear and useful for the schools that we work with. The names listed are by position and in no particular order other than position. 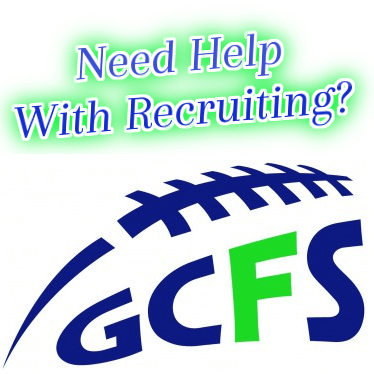 Feel free to chime in and let us know of individuals that you think are legit D1 kids. Our rankings board will be updated shortly. Three sport athlete that has an extremely high ceiling. Just won a state championship on the basketball floor and is a talented golfer. Will be pursuing football at the collegiate level, and comes back OR’s #2 ranked Jr. QB. Rising quickly. 1st Team All-League player in Washington’s top conference. Had 188 carries for 1193 yards and 17 TD’s as a junior. Is a bruising back who is at his best between the tackles. Is the definition of a workhorse type running back. Physical runner who is deceptively fast and elusive. One of the state’s best baseball players. Will have D1 scholarship offers on both the football and baseball field. Can play 4-5 different positions and has D1 size and quicks. Projects as a OLB/TE/HBack/WR/SS type if there ever was such a thing. Just an outstanding kid and someone every team can build around. Will help lead what I predict will be a top 50 team nationally. One of the most exciting players in Washington. Co Conference Offensive Player of the Year, after going for 20+ Tds. Extremely explosive athlete that is also one of the state’s top soccer players. Not your prototypical RB, but a legit D1 kid. 2nd team all league DB as a Soph, and a 4.0 student. Will be a SWC Player of the Year candidate on both sides of the ball… One of the state’s best hoopers. Brother of Oregon Duck ATH/Safety Oshay Dunmore 6-3 210, who was also one of the top decathletes in the country. Yadie has outstanding body control and projects as a corner. Will be a leader for the returning state champions. “The Slot Machine” is one of the more exciting athletes, earning 2nd team All-State honors after scoring 21 TDs in 2012. He will be a Conference Player of the year candidate. Tre is the exception to the rule when it comes to size. He is extremely elusive in the open field and is a threat to take it to the house any time he has the ball in his hands. Has the potential of being the state’s top receiver. Legit size and quicks.. MVP’d our recent camp and combine in Bellingham. Will return after winning a state title with the Lions.. Had over 600 yards receiving and 7 Td’s on a team that will need his veteran leadership. One of the most impressive kids we have seen on the camp and combine tour. Talented lineman that plays with a nasty streak. High football IQ. Understands the work required of players in a successful program, as he was a member of two state title teams at Skyline. Reggie has the wingspan of a tackle, but projects an interior lineman. KingCo 1st Team All League player in 2012. One of the fastest rising line prospects in the state of Washington. A fundamentally sound lineman who will anchor one of the state’s top offensive lines at the tackle position, however, projects as an interior lineman at the next level. Klein was extremely impressive at our elite events during the winter. Has an outstanding frame and will be the leader of a Lions group that loses 3 talented senior lineman. Fundamentally very sound with legit size. 1st Team All League kid. Talented all league athlete, that will be three year starter for the returning state champions. Recently took home NFTC OL MVP honors at the Eugene event, with a majority of the region’s top lineman in attendance. Will look forward to seeing him at the Showcase on June 30th. Other than Marcus Griffin and Shane Bowman, Tiuli has been the most dominant lineman that we have seen in the 2014 class. His performances at our elite events during the winter were extremely impressive as he moved anyone in his way. Passes the eye test and has the size to be a dominant D1 lineman before all is said and done. One of the Washington’s top ranked lineman and is climbing a lot of boards, after recently dropping 40 pounds. Johnson projects as more of a defensive player, but is equally talented on both sides of the ball. Recently did very well at one of our camps and combines. The returning 2012 Conference Defensive Lineman of the Year. Big kid that can plug holes and moves well. Sarte still has work to do with regards to agility, but his upside is high with outstanding size and strength. One of the top 3 backers in Washington.. Comes off the ball as hard as any LB in the region. Injured part of junior season, and is somewhat of an under the radar kid. Transferred from Virginia as a Sophomore and was part of our NEI-South 7 on 7 team, that we took to Las Vegas. Possibly the most gifted pass rusher off the edge in the state of Washington. He was among the state’s sack leaders as a junior, and has only gotten better this offseason. Wright possesses the speed and strength to be an ideal 3-4 outside backer-type at the next level. Oregon’s top ranked corner, originally from Carolina. Very similar to Graham Kapowsin’s (WA) Khalil Dawson, who is headed to Portland St on scholarship. He is a threat to take it to the house any time he gets the ball, and will be one of the region’s most dangerous return men.